I have a group of friends that range from school days, through university and up to Twitter who try to get together once every four to six weeks to have dumplings. We call ourselves the Twitter Lunch Club, TLC for short, which is appropriate because sometimes emergency dumpling summits are held if one of us is in crisis. 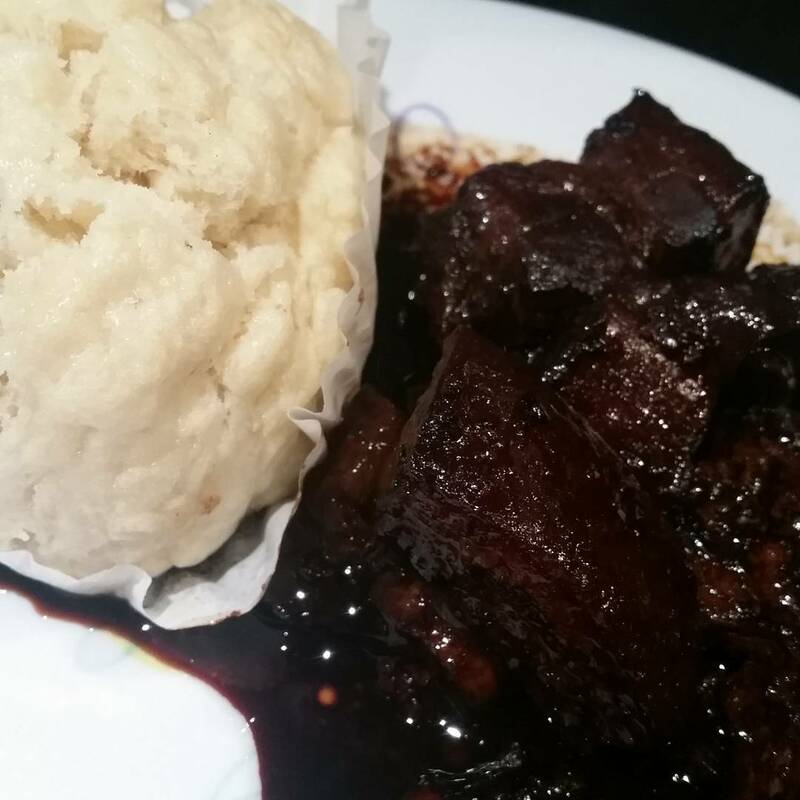 One of the dishes we have at our favourite dumpling establishment is this pork dish, served at room temperature which is covered in this thick, sweet, addictive sauce. I can’t recall what it’s called on the menu, we sit there and reel off dish numbers to minimise delay in getting food on the table. But I’m here to tell you I have replicated it. I’m certain it will take me a couple more goes to perfect it but sweet LORD it is good. As with basically everything I cook it is not technically hard but this one does take time. I actually did it over two days because I realised after I’d started I’d really left my run too late. This recipe for dongo pork (best name ever) comes from my current favourite cookbook, Adam Liaw’s Asian Cookery School. He won Australian Masterchef a few years back and has done so much to make Asian cookery more accessible to those of us wary of the wok. 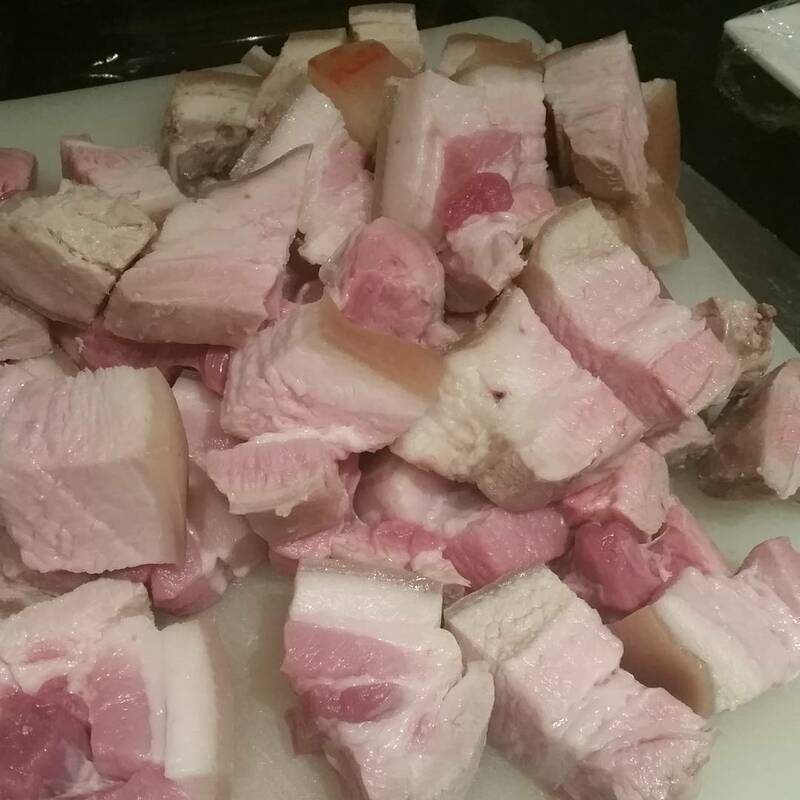 I bought my pork belly from an Asian butcher, their pork is always far superior to what you get at a skippy* one. 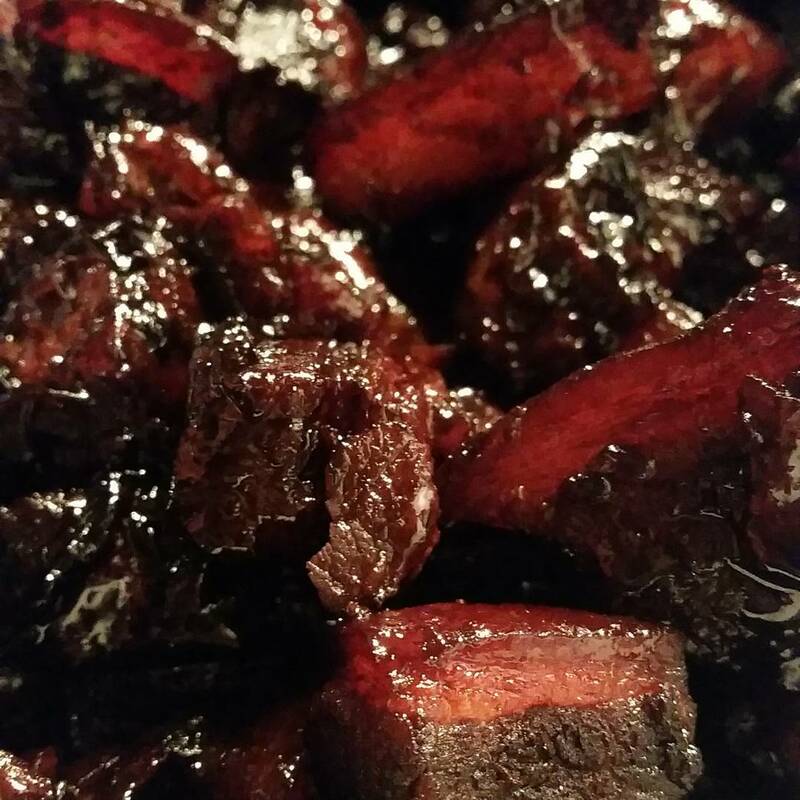 The glistening jewels of dongpo pork. 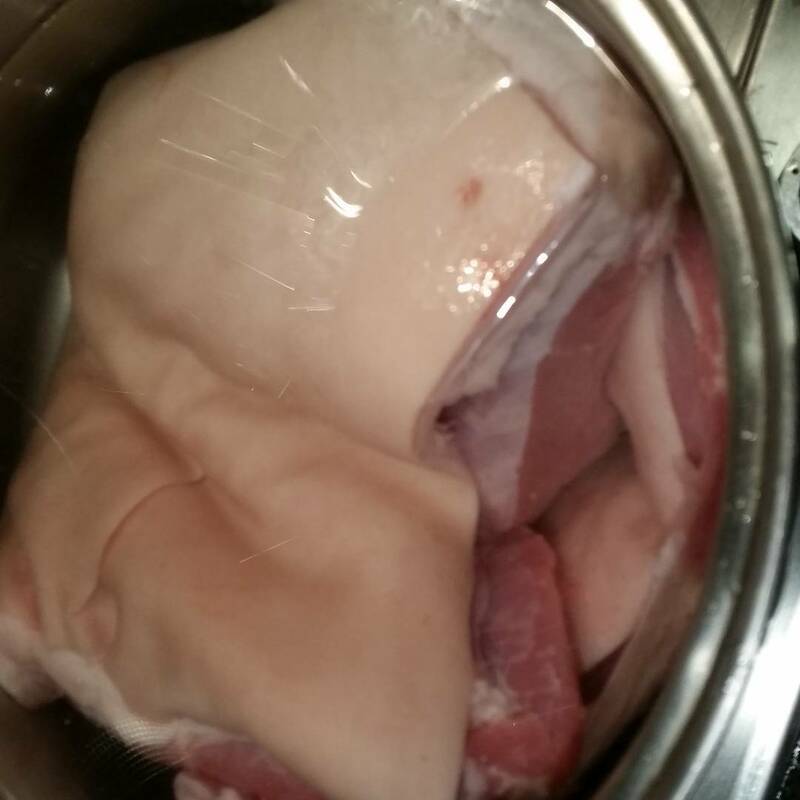 Place the pork in a large pot, cover with cold water and bring to a simmer. You must make it immediately!